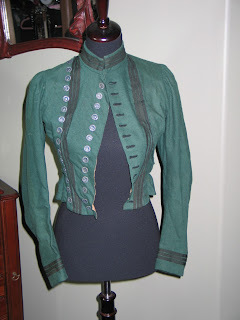 This auction is for one beautiful taylored Jacket~Blouse. This blouse would be cute with a skirt or even a pair of denim jeans. 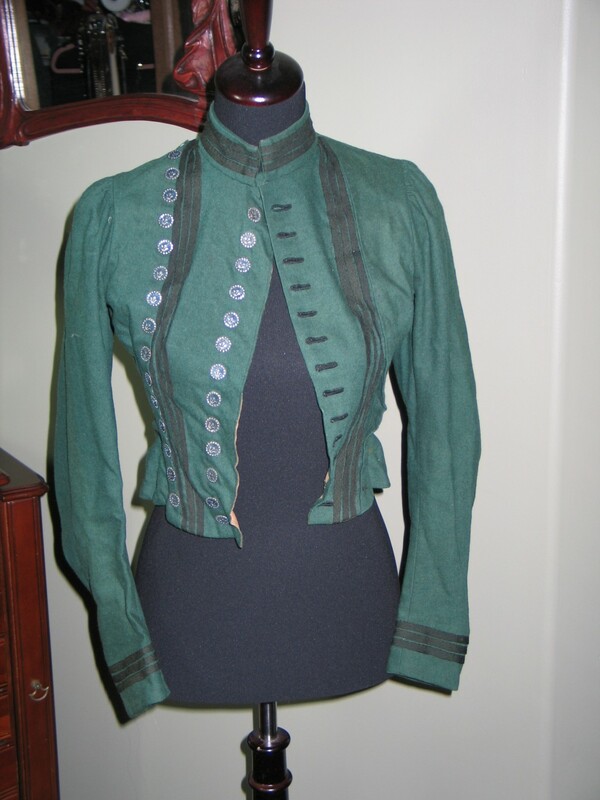 This lovely gem is made of a nice fine wool, lined with cotton & boning for support. 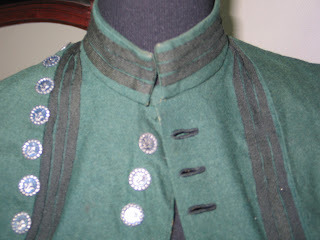 The blouse buttons up the front the original buttons are a metal (pewter/silver??) with a rather unique design on them (alot of detail! ), the button holes are all hand made, there are two rows of buttons down the front one row is functional and the other is merely for decoration, there was once a third row of buttons but they have been removed. These buttons are included there are 9 of these. There are three buttons on the base of each sleeve, and the back is finished with lovely tails. 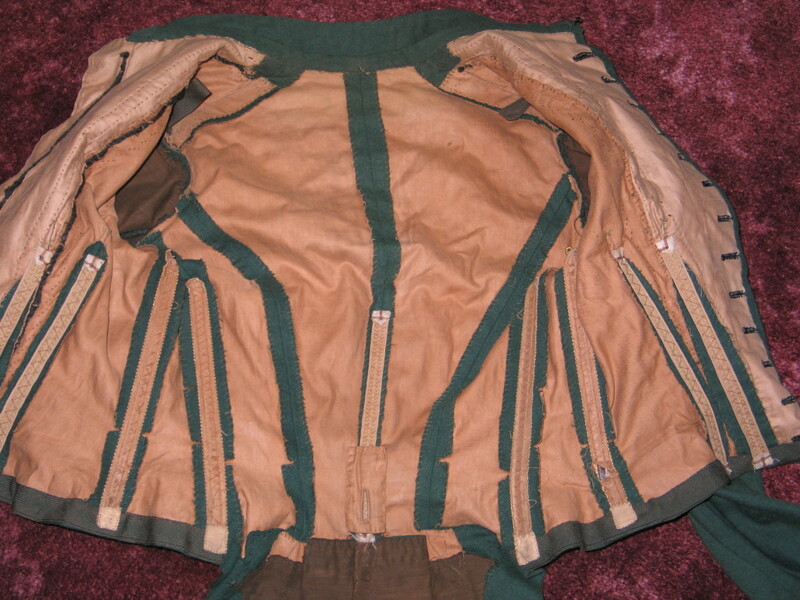 The interior of this gem is as nicely taylored as the outside, there is even a button hole on the lower back to attach a skirt to. It is in nice wearable~displayable condition. There are no holes, spots or stains. The photos just do not capture the true charm of this lovely gem. I will be happy to supply more photos upon request. 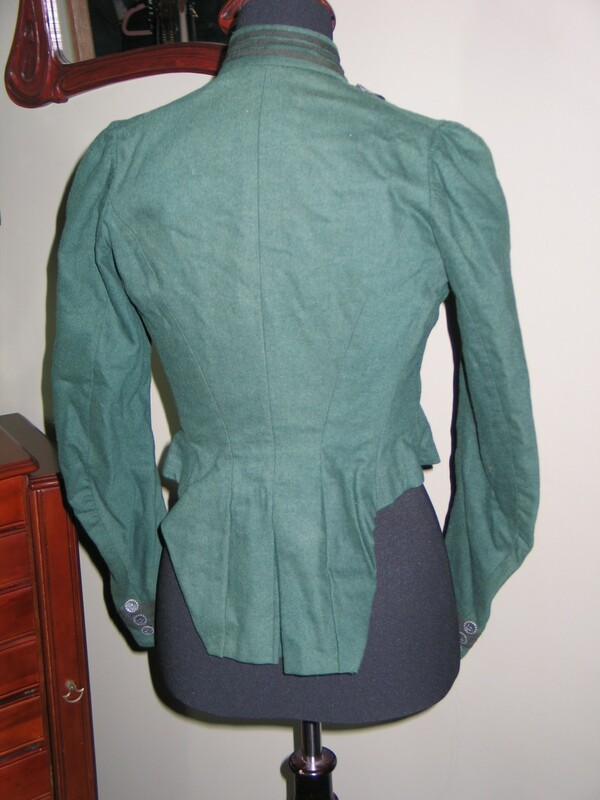 Measurements~ Bust~ Arm Pit to Arm Pit 14" Waist ~ 12" (these measurements are side to side fat across) Shoulder to Hem ~ front 16" back 21"
This is most likely from the 1890's but possibly from the very late 1880's or the very early 1900's.